It's official. Telecom giant T-Mobile will hold a press conference in New York this September 23 to announce the very first Android-powered mobile phone, the HTC Dream. The highly anticipated phone is expected to be in the hands of consumers this October. 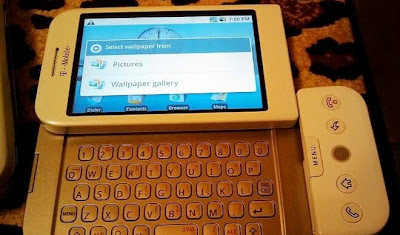 If the photo seen above is really the HTC Dream, then I think its look is not that 'dreamy'. But still, I have high hopes for its Linux-based Android OS and the mobile apps that it will support. --The Android Developer Challenge has been concluded, and I've seen plenty of awesome applications that are supported by Android. 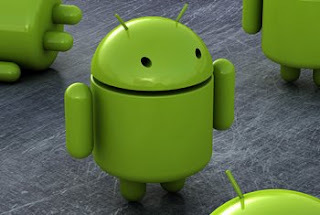 After HTC Dream, we will certainly be seeing more Android-powered mobile phones and devices. I can't wait to get one. That sure looks ugly. I think I'm gonna pass on that and stick to my iphone for now.